John McCain, who has been receiving treatment for brain cancer, plans to return to Washington next week when the U.S. Senate reconvenes. 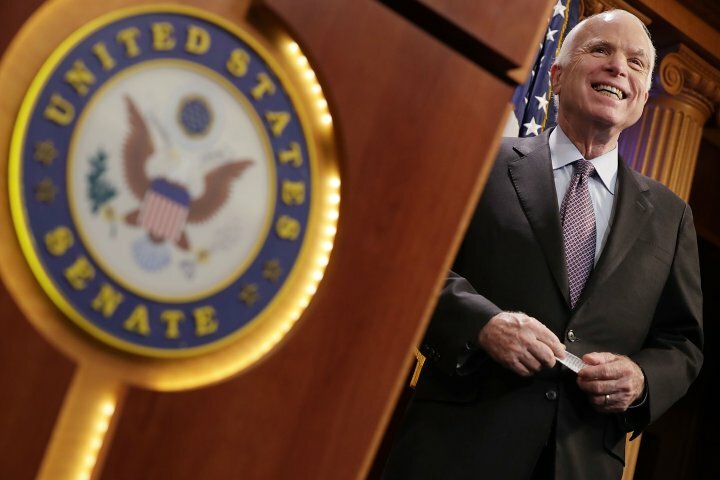 McCain, who revealed he was diagnosed with glioblastoma, an aggressive form of brain cancer, in July, started undergoing chemotherapy earlier this month, his daughter Meghan McCain said. The 81-year-old Arizona senator had previously said he planned to return to D.C. at the end of August. “Senator McCain will return to the U.S. Senate next week as Congress begins a new legislative session and looks forward to continuing his work for the people of Arizona and the nation,” read a statement from his office.Just days following his cancer diagnosis, McCain flew back to D.C. to cast the deciding vote against Republicans’ “skinny repeal” for the Affordable Care Act. McCain joined two Republicans, Maine Sen. Susan Collins and Alaska Sen. Lisa Murkowski, in voting against the bill. The measure failed 51-49 in a massive defeat for Senate Majority Leader Mitch McConnell.